There is no shortage of economic visions for Asia. Is TPP the future? Or FTAAP? Or ASEAN-RCEP? The evolution of Asia’s regional trade architecture is one of the most important developments in the global economy. The continued emergence of China and India, numerous free trade and investment initiatives such as the Australia-Malaysia FTA and the Japan, China and Korea Trilateral Investment agreements and a wide range of regional economic cooperation and integration efforts are catalyzing new patterns in production supply chain networks and investment trends throughout East Asia. In terms of a long term vision of bringing Asia’s FTA’s together, the various paths forward involving APEC, the East Asia Summit and the Trans-Pacific Partnership all have one thing in common: the centrality of ASEAN. Indeed, how ASEAN’s leading economies navigate these processes in relation to the objectives of their own regional trade liberalization and integration effort – the formation of the ASEAN Economic Community – will help shape Asia’s regional trade landscape. The outcome of the 18th ASEAN Economic Ministers (AEM) Retreat last February in Naypyidaw was the crafting of a draft document entitled the ASEAN Framework on Regional Comprehensive Economic Partnership (RCEP). This RCEP articulates an ASEAN-led process for restarting and elevating discussions with FTA partners (namely Australia, China, Japan, South Korea, India, and New Zealand) and other trade partners to join ASEAN in creating a free trade area that targets the removal of 95 percent of tariffs on goods. The RCEP was formally endorsed by the ten ASEAN leaders at the 2011 ASEAN Leaders Summit. Initial reactions from the private sector and public policy community have ranged from apprehension over diverting precious bandwidth away from the TPP to the relief of knowing that ASEAN negotiators will have more choice in the trade policy marketplace and that progress is ongoing on addressing the “spaghetti bowl” of FTAs. 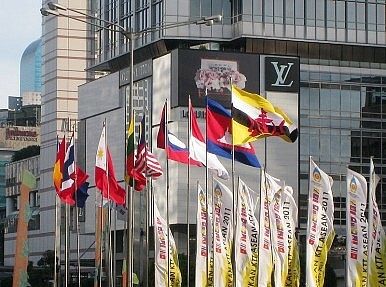 These developments have confirmed, to a degree, some observations of ASEAN’s stock of paradigms and motivations. In their current form, significant regional trade liberalization initiatives such as the TPP and APEC’s FTAAP don’t include all ASEAN member states. Given that ASEAN was formed around Southeast Asia’s adherence to the principle of “all for one and one for all,” the need for regional resilience through a united front continues to be a key premise of ASEAN’s foreign economic relations. With stuttering progress in the WTO Doha Round, the proliferation of bilateral and regional preferential trade liberalization efforts seems to suggest that it’s easier for small groups of states that share common goals and values to make progress than it is for 200 sovereign states in the world to find common ground. The key now is to ensure these multi-track, multi-speed agreements are complementary by design. The rhetoric of TPP being the “only game in town” has, to differing degrees, cornered ASEAN states by exaggerating perceived and real opportunity costs to varying degrees of trade liberalization as an instrument to promote economic development. Right now, we envision that both the TPP and RCEP tracks will coexist but engage in friendly rivalry as it’s likely the RCEP and TPP will have different depths and areas of coverage. The flexibility principle in the RCEP, such as “the agreement can be accomplished in a sequential manner or single undertaking or through any other agreed modality” and “the agreement shall provide for special and differential treatment to ASEAN Member States” arguably provides a more generous consideration of each state’s development needs. Therefore, a pragmatic RCEP approach that takes into account a second-best world with greater market access might be more appealing to some ASEAN members, as opposed to “no gold standard, no deal.” This idea may become increasingly relevant from a commercial perspective in some sectors and industries in the current post global economic crisis environment where global trade volumes are “struggling” and economic protectionism is rising. Even at the best of times, a trade negotiation of this size, and one that includes China, wouldn’t be easy. However, the proposal of the RCEP of an “ASEAN +α” as opposed to an explicit “ASEAN+3” may prove to be a much needed confidence and community building exercise to demonstrate ASEAN’s capacity to integrate its members and external states into concords of prosperity in pursuit of efficiency, growth, and harmonization. With the tacit belief that any trade agreement should incorporate China, Indonesia, and other Asian economies that carry the high growth of the Asia-Pacific region, the RCEP could be the sister incubator of FTAAP alongside APEC. While the global economic recovery struggles along, the bottom line is that the more efficient, integrated, and free market ASEAN can become, the more domestic and foreign enterprises would invest, employ, and commit resources to. ASEAN’s emergence as a growth leader in the global economic rebalancing is an opportunity to focus attention and momentum on creating a climate in which ﬁrms and entrepreneurs of all types – from local enterprises to regional corporations and multinationals – have opportunities and incentives to invest productively, create jobs, and expand, and therefore contribute to growth and poverty reduction. Ultimately, progress in ASEAN requires both the public and private sectors to take joint ownership of the region’s economic future to address important constraints in ways that give ﬁrms the conﬁdence to invest. Those words should continue to be the guiding principles of ASEAN’s leadership in East Asia. Daniel Wu is manager for Malaysia, Brunei, and Financial Services and Marc Mealy is Vice President for Policy at the U.S.-ASEAN Business Council. The views expressed here are those of the authors and do not necessarily reflect those of the U.S.-ASEAN Business Council or its members. They can be reached at [email protected]and [email protected]. This piece was written in recognition of the retirement of Prof. Stanley J. Michalak. As Vietnam steps fully onto the international stage, economic development will be a key to success.